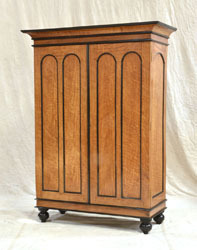 A handsome cabinet with moulded cornice above a pair of hinged satinwood panelled doors, each with two arched panels. All with ebonized borders. 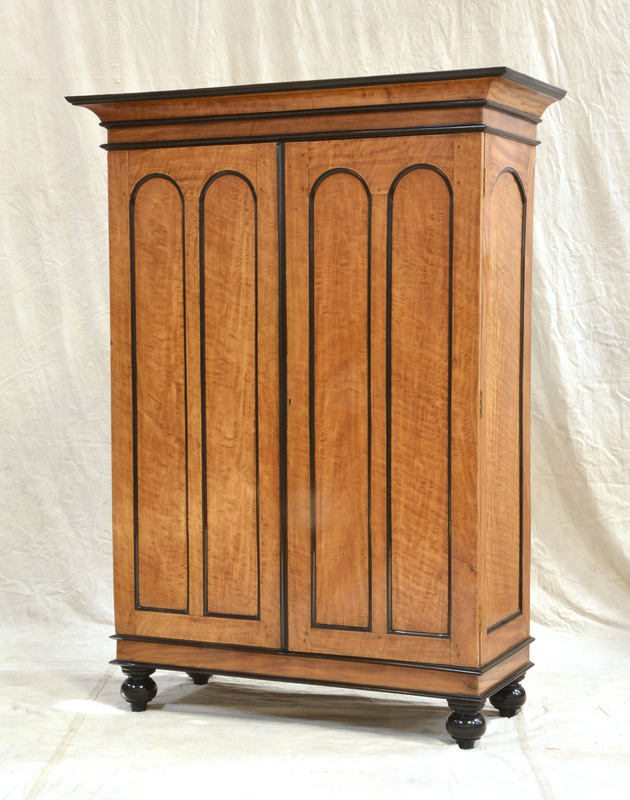 The entire cabinet is made from exotic figured satinwood which has a ‘tigers eye’ effect. All on plinth base with bun feet.